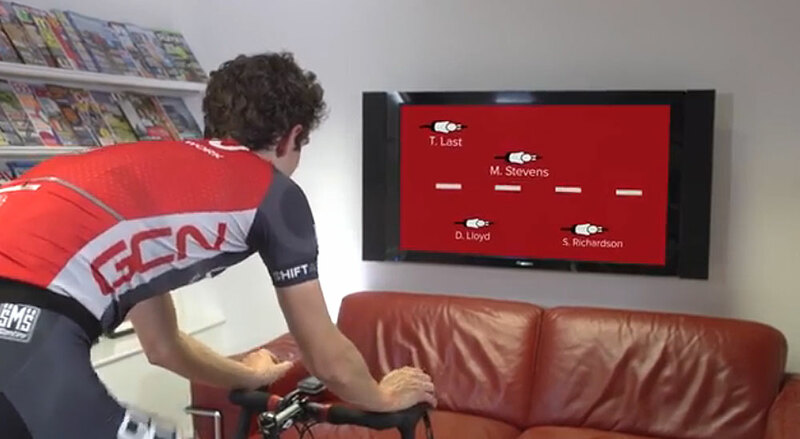 Social interactivity is a great way to pass the time when pedaling inside. Pedaling stationary miles indoors is a great way to maintain fitness through the dark and cold winter months. But it can also be mind numbingly boring. Even just a half hour session can seem like an eternity. So how do you pass the time without going totally stir crazy? The gang from the Global Cycling Network have some tip and tricks to help you get to the end of your workout. Cheap Bike vs. Super Bike: What's the difference?